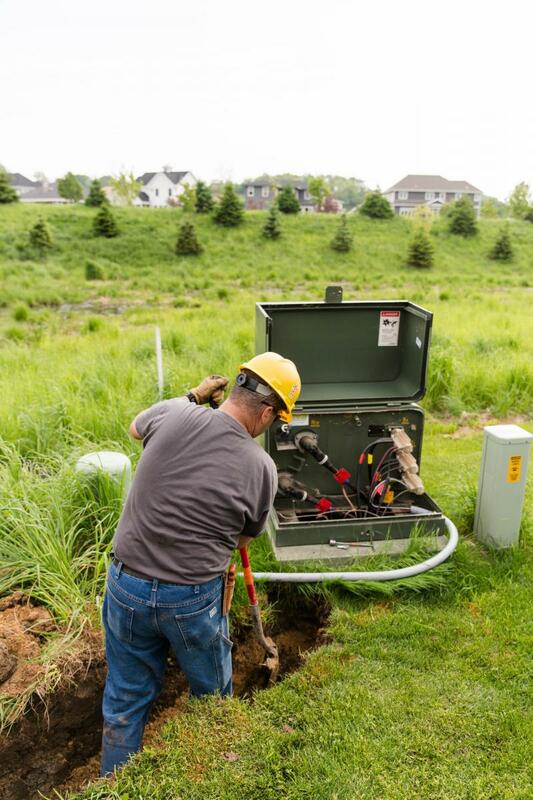 The utility also needs to maintain clearances around underground utility equipment. A minimum distance of ten feet is required in front of the equipment and a minimum of three feet is required on the sides and rear of the equipment. Trees, shrubs, fences and other obstructions that are in the work zone create unsafe working conditions and add time to an outage situation. We need room to work safely on all utility equipment. Please keep vegetation and structures ten feet away from the front of and three feet from the sides and rear of electric facilities. Obstructions may be damaged or removed during service restoration or maintenance. We ask that all utility easements remain free of obstructions such as retaining walls, fences, vegetation, etc. If you have questions, please call Dave Dresen, Electric Superintendent, at 850-5450.